This year Ganesh chaturthi starts on 13th August 2018 and will lasts for 10 days. During this festival, people worship the Lord Ganesha and prepare few sweets and savories to offer to god as a prasad. 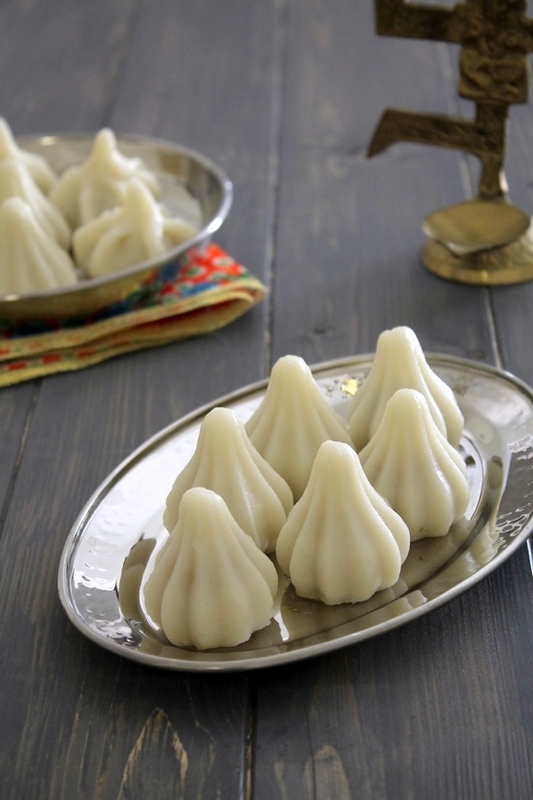 Among these food, modak is Lord Ganesha’s most favorite. 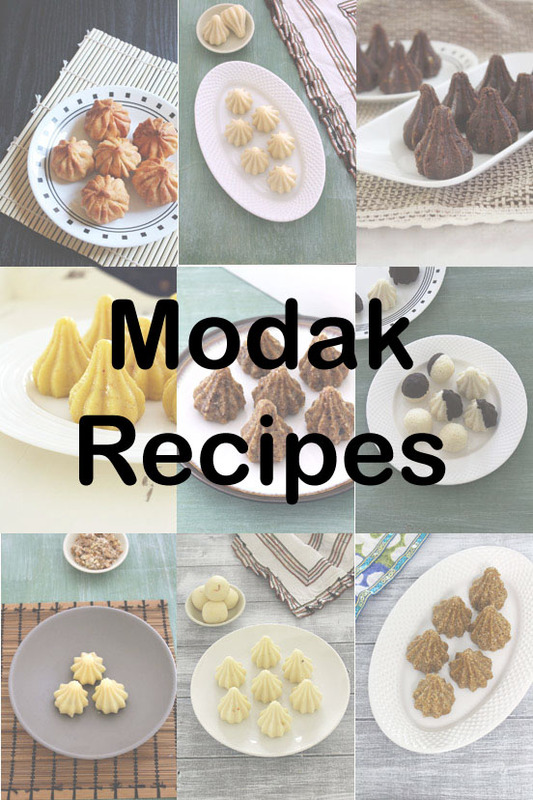 So here I have compiled the list of 10 different modak recipes. 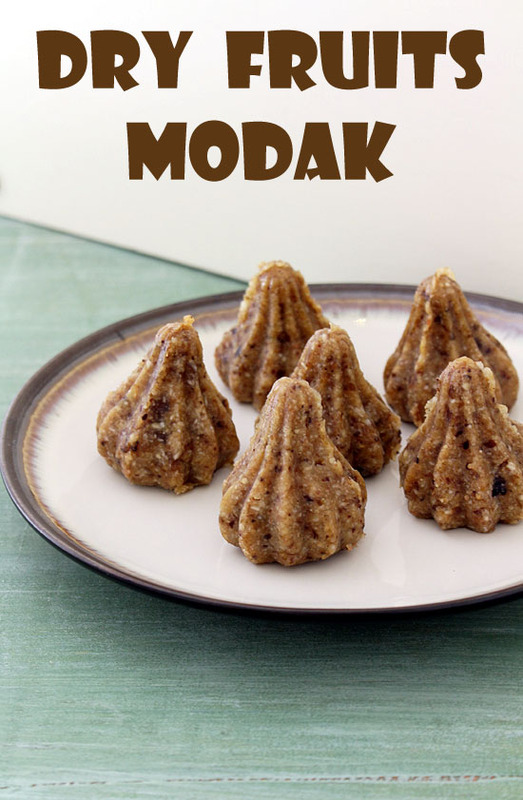 Modak is also known as modakam, kudumu, kudubu or kozhakkattai in other languages. 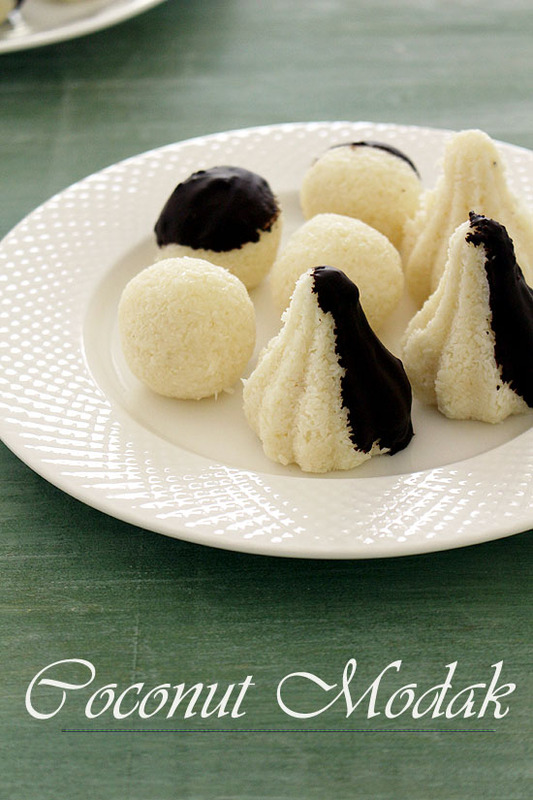 The outer layer is made from rice flour and stuffing is made from jaggery and coconut. 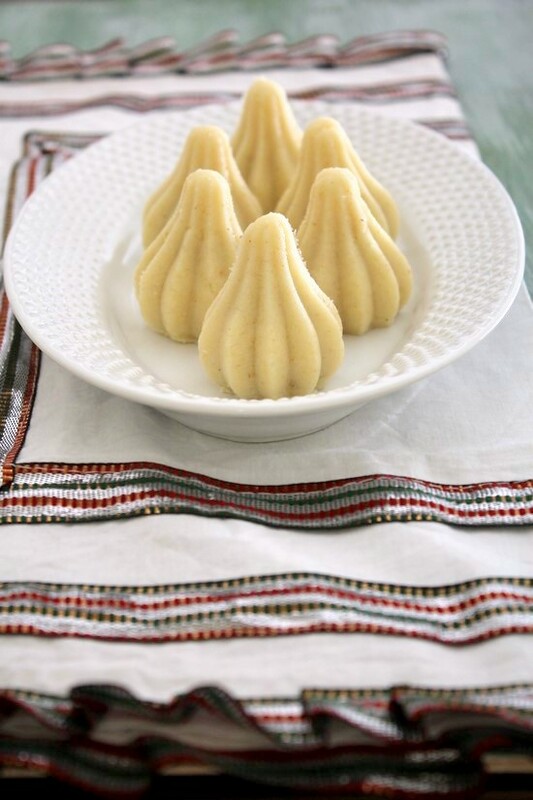 Once shaped, they are steamed and ghee is drizzled over them before serving. The outer layer is made from all purpose flour aka maida and the stuffing is made from jaggery and fresh coconut. Once shaped, they are deep fried into hot oil. The outer layer is made from sooji and milk, the stuffing is made from coconut and jaggery. Shape using moulds and stuff with stuffing, they are ready. 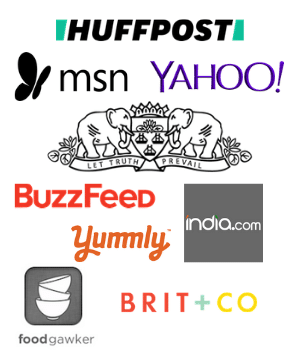 No further cooking required. 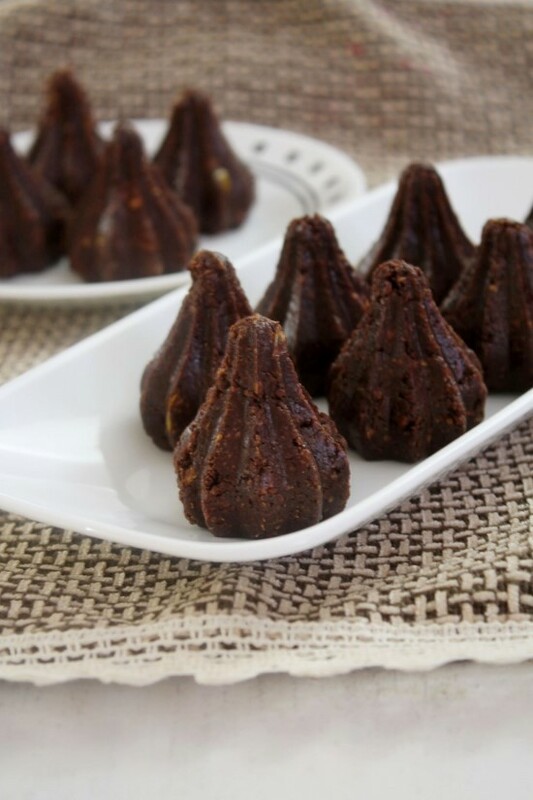 A fusion version of modak made from semi sweet chocolate, sweetened condensed milk and biscuit crumbs. 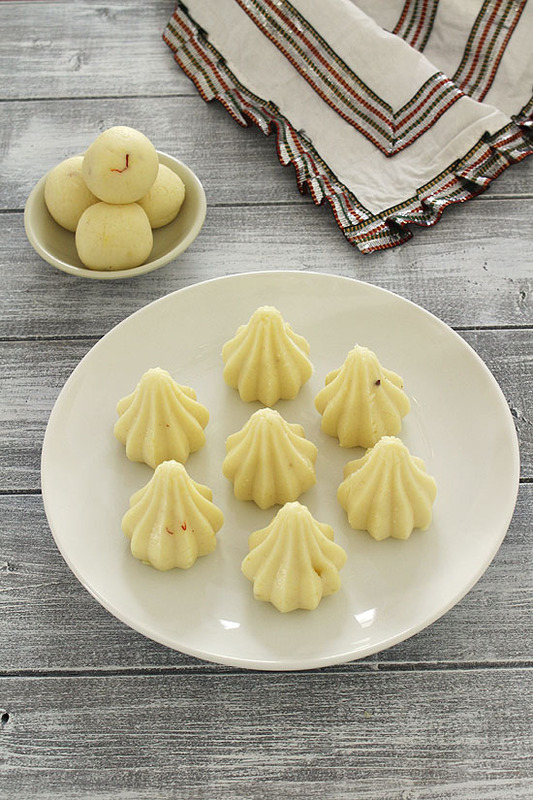 Popular kesar peda mixture shaped into modak form using moulds. 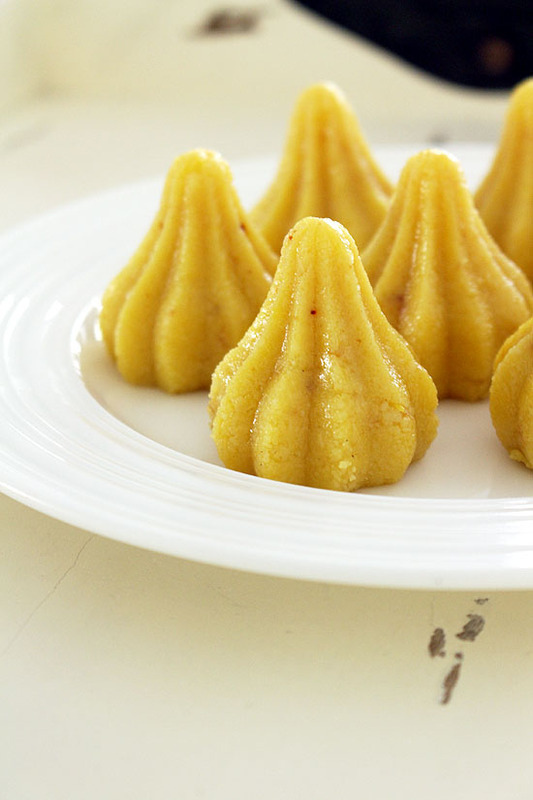 It is made from khoya, sugar and saffron. 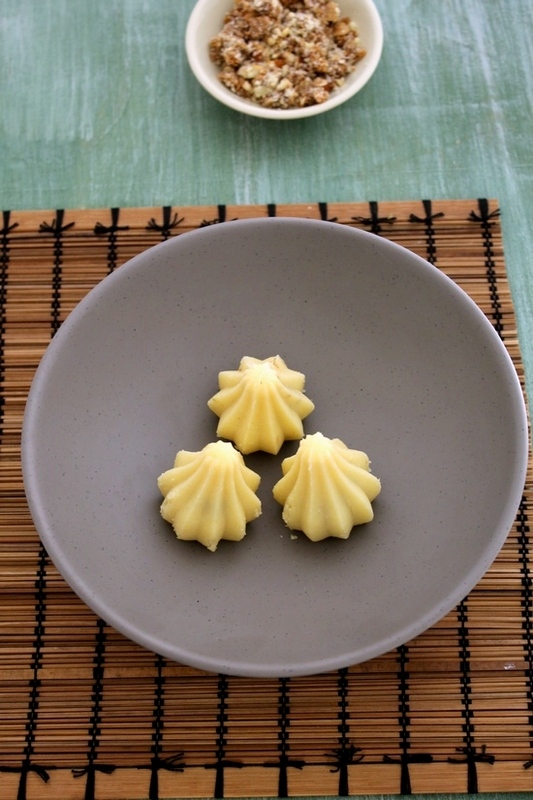 No-cook, instant version made from dry coconut and sweetened condensed milk. Once shaped they are dipped into melted chocolate. 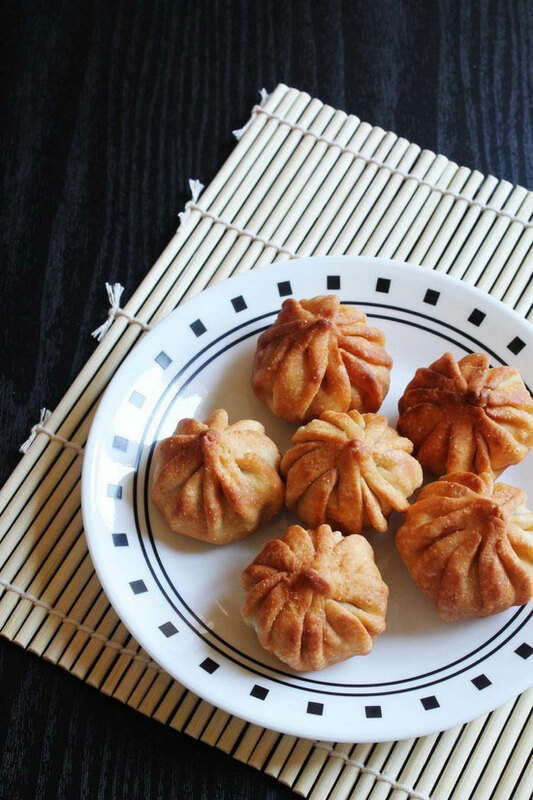 Healthy version made without any sugar or jaggery. The sweetness comes from dates. The outer layer is made from khoya and sugar, the stuffing is made from figs, dates and nuts. 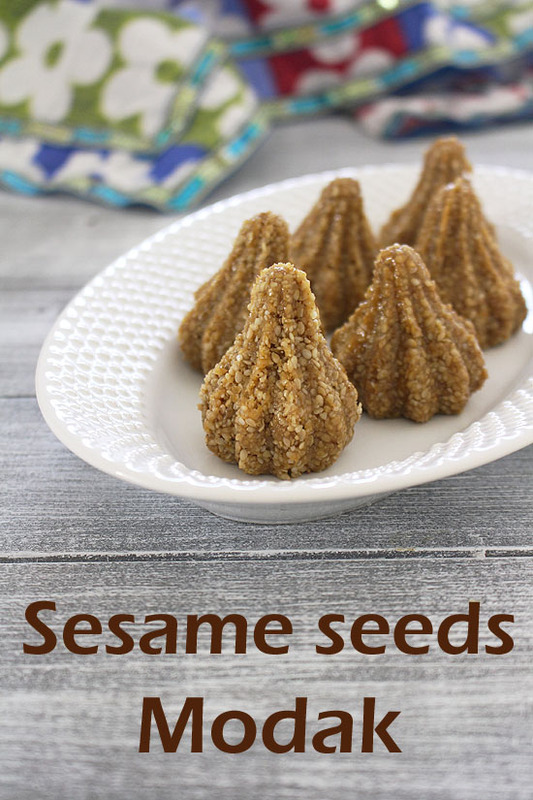 This one is also made with two ingredients only, sesame seeds and jaggery. Wishing you Happy Ganesh Chaturthi.